The data is anonymously processed in the central database twice a year, on the last day of June and December. The summary analysis has the form of a final report – see below. Report as of 12/31/2017 - involving data of 10,230 patients from 15 MS Centres. Report as of 06/30/2017 - involving data of 9,583 patients from 15 MS Centres. Report as of 12/31/2016 - involving data of 9,044 patients from 15 MS Centres. Report as of 06/30/2016 – involving data of 8,353 patients from 14 MS Centres. Report as of 12/31/2015 – involving data of 7,786 patients from 13 MS Centres. Report as of 06/30/2015 – involving data of 7,099 patients from 13 MS Centres. Report as of 12/31/2014 – involving data of 5,639patients from 12 MS Centres. Report as of 06/30/2014 – involving data of 4,715 patients from 12 MS Centres. Report as of 12/31/2013 – involving data of 2,920 patients from 7 MS Centres. 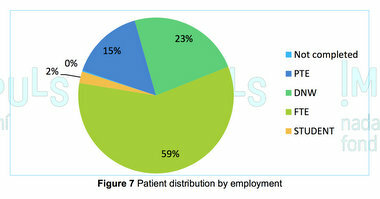 Report as of 06/30/2013 – involving data of 1,501 patients from 3 MS Centres. No data, published in Regular outputs from the ReMuS Registry, may be copied, reproduced, published, or otherwise disseminated in any way without data owner's, i.e. Endowment fund IMPULS, express written consent.